In the beginning of the lecture, Professor Shiller reviews the probability theory concepts from the last class and extends these concepts by the central limit theorem. Afterwards, he turns his attention toward the role of financial technology and financial invention within society, in particular with regard to the management of big and important risks. He proceeds along the lines of a “framing” theme, referring to the context and the associations of inventions, and along the lines of a “device” theme, emphasizing the creation of complicated structures set up for a certain purpose, which require learning over time to be improved. His coverage of financial inventions spans limited liability for corporations and the framework of Township and Village Enterprises in China, as well as inflation indexation from its inception around the turn of the 19th century to its applications in Chile and Mexico in the 20th century. 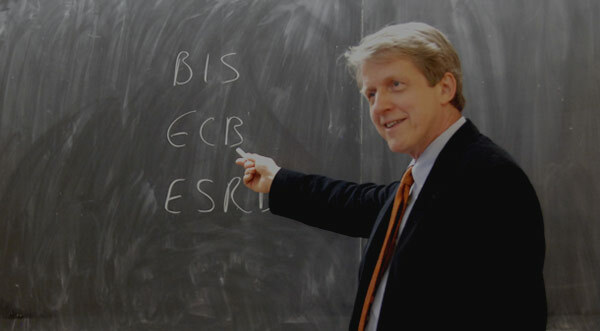 Professor Shiller concludes the lecture elaborating on swap contracts as financial inventions, and on the subsequent development of credit default swaps. Professor Robert Shiller: OK, good morning. Today I decided not to use PowerPoint, I’m using index cards. This is traditional lecture style. I want to talk today about–this is our third lecture for financial markets. I wanted to talk today about invention in finance. I think of finance, I don’t know whether this will encourage you to be interested or not, but I think of it as a form of engineering. Finance is all about inventions. Devices that solve problems and that help people do things and get on with their purposes in life. And the inventions have many small details, just like any invention. Like an airplane. You look at an airplane, how many parts are in there? How many different people worked on the different parts? And it’s so complicated that you might have disbelief that this whole thing is going to work, but somehow it does work. And another part that I want to emphasize in today’s lecture is that engineering requires a human element. Engineers know that their devices will be run by people, and people are imperfect. And so, they have a course in engineering schools called Human Factors Engineering. And that’s about designing machines, so that human beings won’t mess up when they try to use them. That gets us into psychology. To me, when we talk about behavioral finance, which is going to be a theme of this course, human psychology and finance, it’s fundamental to the inventive side of finance. So that’s what I want to talk about. I’m going to give you some examples of invention and talk about how they solve the risk problem. The fundamental problem of maintaining incentives in the face of risks. But before I start this lecture, I wanted to just briefly review the last lecture, which was a very important lecture for this course, because it talked about the underlying probability theory and applications of probability theory to finance. So, let me just mention some of the concepts that I talked about last time. The first one was return. We talked about the return on an investment which has two components, the capital gain, which is the increase in the price of the investment, and the other is the dividend, which is something that comes separately in the form of a check maybe, or electronic entry. But we then moved quickly to probability theory. We talked about random variables. A random variable is a quantity that’s created by some kind of experiment or event that is uncertain in advance and becomes known later. And then, we talked about measures of probability distributions. We talked about central tendency, we talked about the average or mean, and the geometric average, and we talked about measures of risk, notably variance. But then, there are also measures of co-movement between two random variables. We talked about covariance and correlation, and we talked about regression. And then finally we talked about distributions of random variables, and the normal distribution, which is famous. It’s the famous bell-shaped curve, which is thought by many people to represent a typical distribution. And then finally, we talked about failures of the–the idea of independent random variables that are normally distributed is a powerful idea. That we have some idea that there’s a bell-shaped curve. We know something about what relates to something and what doesn’t relate to what. These ideas are partly intuitive, and they’re partly wrong. And so, the concluding element of the last lecture was that the financial crisis that has enveloped the world starting around 2007 seems to be related to people’s failure to understand the limits of the independence assumption they were making, and also to the limits of the normal distribution. Namely, failure to consider outliers. So, let’s just think about independence briefly for a moment. It’s inherent in the intuitive view we have of the world. When you toss a coin, every time you toss it, you think each toss has to be independent of the previous toss. They’re not going to come up the same, because there’s nothing relating the two tosses. So, you have a strong intuitive sense that some events are independent. You might also think that returns on the stock market from day to day are independent. Why is that? Because they relate to news, right? What changes the stock market on any day? Its news, and by definition news has to be new. So, it can’t just be yesterday’s news. So, it has to be something fresh. And I showed you a plot of the stock market and of Apple stock, and in this plot it came out that the stocks look roughly independent, the returns from day to day. But they’re not necessarily independent, and they can surprise you, and that’s when crises occur. We also talked about idiosyncratic risk and market risk. Remember we regressed Apple stock’s returns on the stock market’s returns and we got a fitted value, which was β times the market return. And that’s the market component of Apple risk. And then we saw that the extra component, idiosyncratic, is uncorrelated with the market risk. But in this case it’s uncorrelated by construction, so it has to be uncorrelated. Oh by the way, I don’t know if you caught the news. It’s just coincidence that I mentioned Apple stock in my last lecture. You must’ve heard the news. It was headline news on the Wall Street Journal. We had a three-day weekend because of the Martin Luther King holiday in the U.S. and, over the weekend, Apple announced that Steve Jobs is taking a long leave of absence from Apple because of his health. And so, we talked about that Steve Jobs is viewed by a lot of people as the genius behind Apple, and the last time he left for a long time Apple didn’t do well. And so, you wondered what would happen to the stock. Well, since they announced it on a day just before the market was closed, and so it opened in Europe and there was a 7% drop in Germany of Apple shares. It opened down 5% on Tuesday in the U.S., but then it recovered and it wasn’t really down that much, probably because there was good earnings news at the same time. That’s just completing our little story about Apple. I don’t know if I gave enough emphasis to the central limit theorem last lecture. This is a fundamental theorem from probability theory, which says that if you have independent identically distributed random variables. That is, every random variable is independent of the other, and they’re all of the same distribution, and if it has a finite variance, then the distribution of an average of these variables converges to the normal distribution as the number of elements in the average is increased. In other words, averages are approximately normally distributed. The bell-shaped curve works as well as it does, because so many things we observe in nature are averages. So many things that we observe are the sum of many affects. This is what history is all about. Anytime big events occur, it’s probably because a number of things chanced to happen at the same time. And that’s why Probability Theorists think that we kind of know the probability distribution, and that’s this bell-shaped curve which I had on the slide last period. The critical thing about the bell-shaped curve is that the tails drop off really fast, after you get a certain distance up on either end. They essentially hit zero. They never hit zero. The probability is never zero. Anything can happen with a normally distributed variable. But the normal distribution does not have fat tails. After two or three or four standard deviations, basically the probability is zero that that kind of thing will happen, that a return–if we’re applying it to returns, that that would occur. So, the problem with the central limit theorem is that it’s only as good as its assumptions. And it assumes that the underlying variables have a finite variance, that they themselves are not so fat-tailed that the variance of them in infinite. And in fact, that assumption might be wrong, because we see, especially in finance, we see big outliers coming from time to time. And so, I present a theory, and I must say I like the theory. The Central Limit Theory is an important theory, but it’s also wrong. And that’s the problem with financial theory. It’s not quite as good as the theory that physicists or chemists use. It has its limitations. Nonetheless, that’s what we have to talk about. We have to make do with that as much as we can. I’m almost done with my review of the last lecture. I wanted to just correct what I said. I said that fat-tailed distributions were discovered by Benoit Mandelbrot, but that’s–I have to give credit properly. It’s actually his teacher, so I’ve got this now. Paul Pierre Levy was a mathematician who lived from 1886 to 1971, who really first developed a theory of fat-tailed distribution. And he was at the Ecole Polytechnique in France. And his student was Benoit Mandelbrot, who was one of the great mathematicians – they were both among the great mathematicians of the twentieth century. Our knowledge of fat-tailed distributions comes down to us through word of mouth. From Levy, who was Mandelbrot’s teacher, to Mandelbrot, to me, and then to you, I think. So, we don’t require any printed word to know this. That’s the way the history of thought goes. There’s an old joke about the normal distribution. The joke goes as follows. The mathematicians think that the normal distribution is ubiquitous in nature because applied workers have discovered that everything is normally distributed. But applied workers think that the normal distribution is ubiquitous in nature because mathematicians have proved that it’s ubiquitous in nature. In fact, it’s sort of ubiquitous, but it sort of surprises you. And that’s one of the fundamental lessons in finance. The fundamental lesson in finance is that you might go through years observing some random return, or some random variable in finance, and you kind of think you know how it behaves, and you’ve learned some confidence. There will come a day when it defies all of your expectations, and that’s what fat-tails are all about. OK, I want it to move on now to today’s lecture, which is about invention, and particularly financial invention. How should I start here? Let me start by recalling how much finance has changed since 1970. OK, that’s 40 years ago. In 1970, there were no options exchanges. Well, there were options, but they were not traded on any exchange. There were no financial futures. There were no swaps. I haven’t defined what these things are for you. What else did they not have? They didn’t have electronic trading. They would do trading by word of mouth. They would meet together on the floor of an exchange and shout at each other and talk. I guess they had telephones, but it was all words and people and writing on paper. So, the proliferation of financial instruments in 40 years is stunning. So, I wanted to use that as a springboard to think about what is the next 40 years going to be like? And if any of you go into finance, this would be your career. I think that it’s reasonable to suppose that the transformation that we see in the next 40 years is going to be just as dramatic as the last 40, or more so, because technical progress doesn’t slow down. I don’t see any reason to think that it’s slowing down. So, I like to think about the future, but it’s hard to talk about the future because we’re not there yet. I’ve written a couple of books. One of them is about the future of finance. One of them is called Macro Markets, which I wrote in 1993 about the big market. Macro means big markets that we’ll be seeing in the future. And the other one was called The New Financial Order, which I wrote in 2003, and we have the introductory chapter there on the reading list for this lecture. What I see is happening with all of these–incidentally, we have a lot of questioning of these inventions now because they kind of blew up on us in this financial crisis. So, it’s a little bit like after an airplane crash. People are kind of critical of the aeronautical engineers for a while. Or when they invented steam engines, some of them blew up, and it was bad. You know, when a boiler blows up, it scalds all the people around it, awful. So, people were mad at them for a while. I think that’s what we’re going through now. And people are angry about some of these inventions, but that’s just part of progress. Well, it doesn’t mean that we don’t want to regulate them. We regulate boilers and airplanes right now to prevent crashes, and we need to regulate our financial markets just as well. The financial markets that we have, they’re based on mathematical models. This is a mathematical discipline, but the mathematical models depend only on certain intuition. Maybe, a core part of the intuition that underlies financial inventions is the idea of independence. I’m going to try and talk in really basic terms. If risks are independent of each other, then we can pool them and they go away. That’s the core idea. But how to make that happen, requires some thought, and some devices. The intuitive idea that we can exploit independence to improve our lives goes back to ancient times, actually. A lot of things that people do are done in recognition of what is independent and what is not. I think, even in big causes that people get emotional about over the ages are causes that–I can think of them as examples of the application of probability theory in modern finance. So, you might not agree with me, but this is my view of it. Think of socialism. What is socialism? Well, you know it was invented by the philosopher, entrepreneur Robert Owen. The word was invented by him in the early nineteenth century. What is it? It is that society gets together and pools all of its activities. I think, well, why would you want to do that? One reason you’d do that is that it improves human welfare because it shares risks, and we’re all in it together, and, you know, we won’t have rich and poor. I think that’s part of Robert Owens’ idea. He was worried about inequality, that some people are much better off than others, and that’s bad, and so let’s create a socialist society. So, he had an invention of sorts, but it didn’t seem to be a very–in his form it was not a very successful invention, because it didn’t work somehow. He set up a town called New Harmony in the United States, which was supposed to be harmonious, by the name of the town, and everything was shared. And unfortunately, they ended up arguing and fighting amongst each other, and they were not happy. He didn’t get it figured out right. He was trying to pool risk, but he didn’t do it. There are other idealistic societies that try to do it, like the kibbutzim in Israel. That’s one of many where people get together and form a community, and they pool everything, and it kind of works for some people. But only a tiny fraction of the population in Israel lives on a kibbutz now. Why not? I think most people just don’t fit in that way. We share everything. After a few months living there you might think, I’m out of here. I don’t want to share everything with everybody. So, people do things. In the Old West, the pioneers in America, they had a kind of a social contract, that, if one farmer’s house burned down, everyone will come by and help and erect a new house for that person. So that’s, again, risk management. That’s it. And it works. It sounds almost like a moral thing, but it works only because they don’t all burn down at the same time. It would be totally worthless if they all did. And so, there are primitive ideas of insurance that underlie that, but the ideas aren’t worked out well. And it doesn’t perhaps work well to do it on such an informal basis. So, our society has particular inventions that, we call them financial or insurance inventions, that make these things work better. What we’re talking about is motivated by theory, the mathematical theory of finance, but that’s not the subject of this course. I want to in this course talk more about the inventions themselves and in particular we’ll be talking about risk management. Now, this brings up a basic issue about finance. Is finance good? Is it helpful to people? You know, a huge issue in the history of humankind is inequality. And that people get upset when it seems like other people have an unfair advantage over us. But inequality is something that you’d think finance works against. Modern finance is about risk management. So, you can get rid of the purely random elements in people’s lives, that should make people more equal. It should be a good thing. That is the way I view it. But the other side of finance is that it also creates opportunity, and opportunity is very important also. We can all be equal and living in poverty, and we don’t particularly like that. So, that’s why financial inventions eventually inspire and get people excited. I always remember Deng Xiaoping’s famous statement in the late 1970’s, when China was adopting modern financial methods. And some people were getting rich, and someone asked Deng, isn’t this inconsistent with our ideology? And he said, well, and I’m quoting approximately, “we’re all going to get rich, but somebody has to get rich first.” And that’s the way it is. Financial markets do manage risk. But they also create opportunities and that can actually increase inequality. So, you have to consider both sides of it. Maybe the most important concept in finance really is risk. And risk is all about limiting inequality, or at least the random, gratuitous inequality, right? People are troubled by inequality if it’s arbitrary, but, you know, most people wouldn’t begrudge someone who works very hard and shows real genius and insight, and makes a lot of money, most people say that’s all right. Part of the way we deal with risk is our taxes, tax and welfare system. I’m going to come back to that, mostly in our second to last lecture. We have a progressive income tax that taxes rich people more, and we have welfare. And we also have, I should add, it’s not counted as welfare, but free public education, which is a form of, I wouldn’t call it welfare, but it’s an equalizing expenditure. These are actually our most important risk management devices. That’s what makes life tolerable in modern society, that we do have progressive taxes and welfare. But we don’t rely on those exclusively. And so, finance is getting into the other dimensions. And we kind of want to let insurance, private insurance, rather than social insurance, flourish. Because when the government handles everything, it doesn’t seem to work as effectively or creatively as it can if we let private entrepreneurs handle things. So, what we’re talking about here, and to always put it in perspective, what we’re talking about in this course, is about something that is an add-on to an existing welfare and tax system. But an add-on that is, we hope, particularly effective. And it’s added-on by people in their own self-interest, or maybe for their own purposes, but something that ultimately contributes to a, I think, a better world. That’s what I want to. I have several themes in this lecture. The first is a risk theme, which I’ve just discussed. Another theme I want to talk about here is a framing theme. Psychologists use the term framing to refer to the context and associations that we have with some thing. So, the way people use things depends on what they see them associated with, because people can’t think through to the fundamental theory all the time. So, we have to frame things in a way that’s convenient to people. And this is part of financial engineering. I’ll come back to that in a minute. Framing has to do with language, names that we give to things. We have to design inventions, so that they’re framed in good ways. I’ll explain that in a minute. And then, I have a device theme, that finance is really about devices like steam engines. We call them financial contracts. Devices are complicated structures that we set up for a certain purpose, like airplanes or automobiles, and we learn through time how to make them better and better. And they tend to come on the world with a flourish or surprise. There’s some new invention. You know, when the Wright Brothers first exhibited the airplane in the Paris Air Show in 1904, I think, people were stunned. They were actually flying. And it immediately set up around the world the aircraft industry. If you look around the world, these devices look very similar. Automobiles, airplanes they look almost the same in every country. But that’s because they have an internal logic to them that makes them work well. And the logic may not be apparent to you. You might not, probably don’t, fully understand why a device works as well as it does. Well, I have an example of a simple invention. I was curious, I haven’t used this example before, how many of you use this invention? You know what a gimlet is? How many of you own a gimlet? Nobody. Nobody owns a gimlet. Can someone tell me what a gimlet is? It’s amazing. A gimlet is a simple tool that everyone used to have 100 years ago. And what does it look like? It’s made out of wire. This is a handle. OK, do you have a gimlet now that I’ve drawn a picture of it? So, what you did with those–they were really cheap. You could buy one in 1820, go to a hardware store in downtown New Haven. They’d have a whole set of them. And you use it to make holes. And it works really well. I find you can buy them on the Internet. I bought one out of curiosity, and now I use it. The point it that inventions come and go. The nice thing about a gimlet is, it’s really nice, it comes to a pin point. And if you want to make a hole in wood, you just push it in, and it goes exactly where you want it. And then you just turn it a little bit and it goes right in. But we have electric drills now, right? We’re kind of used to them. The problem, you know, once you start using a gimlet, you love it. Because you can control it so well. That drill, when you start drilling, it kind of bounces around, and it doesn’t make the hole where you want it. So, there’s something good about this invention. But you can go out and buy one now for very little money on the Internet. It’ll be mailed to you. Now that I have it, I’m thinking about it all the time for using it. But somehow it comes and goes. Inventions are part of our culture that appear and disappear through time. I wanted to talk about another invention. This is by way of inspiration. I’m getting to finance in a minute, but I have to do these simple–maybe someone will reintroduce the gimlet. I don’t know. It’s probably gone forever. It illustrates the fact that modern electronic technology has given us something maybe better. But if you were used to using this, you’d want it. You know, I just don’t want to use that electric drill because I know how to use this, and I can control it. I’ll give you another example of an important invention which I saw come in my lifetime and that’s wheeled suitcases. OK, I bet you have one of these. Right, a suitcase with wheels on it? When I was a boy there were absolutely none. Nowhere. No one had a wheeled suitcase. Isn’t that strange? You’d be carrying these suitcases around. You put it on wheels, and so I looked up the inventors of this. It’s not that long ago. The wheeled suitcase was invented by Bernard Sadow in 1972. And his was the first one. He had a suitcase with little wheels, four little wheels, and you had a strap and you’d pull it, and it would trail behind you. But then the other, the really important invention, was by Robert Plath. This isn’t finance, but I kind of think of it as finance. It was 1991. And he called it the Roll Aboard. This is what you own, right? You own a Roll Aboard, right? It has a rigid handle that collapses into the suitcase, and has two wheels that are horizontal. The problem with Bernard Sadow’s invention is that it tended to flop over. You’re pulling it with a strap behind you, and then you look back and it’s flopped over. You can’t go around corners very well. So, we lived with Sadow’s for 19 years. It took 19 years to invent the modern Roll Aboard. I actually heard from Bernard Sadow. I wrote about him in The New Financial Order. And I got a letter from him about two weeks ago, or email from him. And he said, I heard about your book and that you talked about me in your book. And he said you he’d like to get me to autograph it for him. So, I said fine, I’ll send you the book. And I sent him an autograph with appreciation. That just shows, it’s not long ago. So I guess, I could ask you to reflect, why didn’t people have wheeled suitcases? But you weren’t born yet, right, so you can’t reflect on it. I’m thinking back to myself. You know, it’s almost something that I would do myself. I would put wheels on it. But I guess you were embarrassed to do it back then. Because maybe it seemed sissy. But was everybody worried about being a sissy? Not everybody. Why doesn’t anybody do it? Well, Bernard Sadow, I had my student interview him, and he had listened to objections, and people told him in 1972, no one’s going to buy that. Because if the suitcase is too heavy, you just get a redcap. You know what a redcap is? A redcap is someone, a poorly paid person, who stands around at train stations, with wearing a red cap, and helps you with your luggage. Right? That’s not a good answer, right? There isn’t always a redcap to help you, and so obviously you need wheels on suitcases. But this illustrates how technology moves. It moves sometimes slowly. I’ll give you a couple other examples from my book about the slowness of inventions. One is just the invention of wheels. Did you know that in the Americas before Columbus there were no wheels? No wheeled vehicles. The American Indians had no wheeled vehicles at all, not even suitcases. Nothing. No wagons. Nothing. And then to complicate it, they’ve discovered, from the late classical period in Mexico, they’ve discovered wheeled toys. And if you go to a museum in Mexico you can see them. They made toys for their kids. They’re not cars, they’re little jaguars and animals, and you could roll them along the floor. So, they made the toys, why didn’t they think of making a wagon? It just never occurred to them. And another example I give in my book that I really like is the movie subtitle. This is an amazing thing. When they invented movies–I gave you a Thomas Edison sound movie, but it didn’t work. He couldn’t make a sound movie. They didn’t find out how to make sound movies until the 1920’s. So, they did, in order to give dialogue to a movie, they’d give what they called intertitles. They would show the movie, you know what I’m saying? Then they’d stop the movie and there would be a title with some phrase that someone said, and then it would go back to the movie. But it’s obviously better just to put subtitles on the bottom of the screen, right? Let the movie proceed. You’ve seen movies with subtitles, right? It works fine. Well, it turns out that someone tried it in 1920. There was a movie called The Chamber Mystery. And someone made us a subtitled silent movie, but the response was bad. It seemed like nobody liked it. And so, it wasn’t for another–subtitles didn’t come in until after sound movies were invented. After sound movies were invented, they wanted to make movies in one language and show them in another country, so they had to put subtitles in, so that people in another country could see the movie. And then that’s how it came in. There’s a slowness to understand or appreciate invention. Anyway, I want to move to invention in finance, and the analogies that I just talked about are important. So, let me start with an important invention in finance that goes way back. Well, I think I mentioned last time, the very simple idea of setting up a company and dividing up shares in the company, that’s a really old invention. That’s thousands of years old. All right, you and your friends are going to do a business, how do we divide up the profits? Well, let’s give shares to each of us. And the guy who’s contributing more gets more shares, right? And someone who’s contributing less gets less shares. But then, we all have an incentive to make the company go, and that’s the idea of a corporation. Corporation comes from the Latin word corpus, which is body. It becomes like a slave owned mutually by all the people in the company. And your share in the company is determined by the number of shares that you own. But I wanted to focus here–that’s an old idea. It’s an invention. But I wanted to really focus on a particular nuance that developed. It’s limited liability. A limited liability corporation is a corporation that guarantees that you as a shareholder will not be liable for the debts of the company. In England, they sometimes will put limited. The name of the company, after it we’ll say limited. But in the U.S., we just say incorporated, so that tells you that it’s limited liability. What it’s talking about, limited liability means that somebody sues the company, and the company can’t pay, they can’t go after the stockholders. Limited liability has kind of a complicated history. But according to a history by David Moss, who was a Yale history graduate student when he wrote this, but is now at Harvard Business School, limited liability really took hold in 1811 with a corporate law in the state of New York which represented a significant invention. The corporate law of New York in 1811 actually had two important components. The first component was, anybody can start a corporation. Just file the papers with the government of New York, and you’ve got a corporation. There may have been some regulatory requirements, but the point was, you didn’t need an act of congress, or an act of parliament, to start a corporation. It used to be very hard to start a company, because people would say, well, what’s your purpose? And you know, we don’t just do this automatically. That was the first part of the New York law in 1811. But the second part is particularly interesting. They said under no circumstances can the shareholders be sued. You put in your money to the company, that’s it. You are protected by the law. No worries about that. Now, this was the first corporate law in the world, according to Moss, that imposed limited liability as a clear right of the shareholder. There were limited liability clauses before, but it was never so crystal clear. At the same time, around 1811, other states in the United States were looking at New York and saying, you’re crazy. What are you doing? You can’t sue the shareholders? They could do something irresponsible. And so, the state of Massachusetts, at around the same year, made a completely opposite law. They made it clear that the shareholders are responsible. You invest in a company, you’re responsible. And that’s the only way it’s fair, they thought. Well, guess what happened? New York became the financial center of America. Nobody wanted to set up a company in Massachusetts anymore, because they couldn’t raise money. The capitalists were at risk. If you bought one share in a company in Massachusetts, and the company did something criminal, let’s say, or bad, I don’t know, something bad, then they come, they might sue the company, and then come looking for anybody who is among the shareholders. You owned one share in the company, so we can take everything from you. We can take your house, your car. Well, you didn’t have a car. Take whatever you have. So the rule was, be really careful before you invest in any company. And you’ve got to watch them all the time. But you know what that did? That kept Massachusetts down. Because nobody wanted to do that. I mean you’d only invest with trusted friends. You’d never invest in just some random company. But what happened in New York was that companies started appearing rapidly because of this. And as many critics said, a lot of these companies are fly-by-night, they’re going to go under, we’re going to find out that they weren’t doing a good business. They were just show-offs. And they go bankrupt. But some of those companies did extremely well, and they created a powerful New York economy. Then people learned, well, you could invest in 100 companies. And 99 of them will go under. They’re all wild. Not all of them. There’s one of them that would be the Walmart and make you rich. So, the example set by New York was eventually copied by Massachusetts, by every state in the United States, by every country in Europe, and now every country in the world. See, it was an experiment that might not have gone well. You know what David Moss thought, and this has to do with framing again. Moss thought that, why is it that New York became such a capital of finance? Because of this law. And because it made investing fun. And this is a matter of framing. Moss emphasized that when you buy a share in a company, and it’s limited liability, you know that you have already put out all the money that you’ll ever put out. But you could get an infinite amount, well, there’s no limit to the amount of money on the upside. And he thought that just framed better as a psychologically appealing gamble. It’s like a lottery ticket. People like lottery tickets, right? They just enjoy the thought. I don’t do this, but apparently a lot of people do it. You go and you spend a dollar for a lottery ticket, or two dollars for a lottery ticket, and then you think, tonight I could be a millionaire, all right? That’s just so much fun that you want to do it again. But if the lottery ticket said, well you have a small probability of being a millionaire, but you also have a small probability of going bankrupt, we’re going to come after you and take everything. You wouldn’t like that. That wouldn’t be so much fun. You like to savor the possibility of getting rich. And so, people flock to these stocks. It’s like a sport. It’s an invention of something fun to do for a lot of people. But it has this productive side to it that it funnels capital to where it’s needed. So, that was an important invention. I want to give you another example that is a variation on this. I’m going to move forward in time. My next invention is the—uh, I’m breaking chalk here. This goes now to China, Township and Village Enterprise or TVE. I’ll try to say it in Chinese. Xiang zhen qi ye, did I say that right? Close anyway. So, what was this? When China emerged from a communist, strictly communist state, in the early period in the–maybe starting in the late ’70s, but more in the 1980’s, the Chinese economy increasingly became built on a certain kind of organization called a township or TVE. And the TVE was like a company, a corporation, except that it always involved the town. So, in other words, if you wanted to start a business, making something, making toys for export to the world, you wouldn’t just start a toy company. You would go to the mayor of your town, and you’d talk to the mayor and say, I want to start a toy company as this town’s enterprise, and I want to share the profits with you, with the whole town. Now, this is kind of unique. Well, I don’t know if it’s unique, but we don’t see this in the United States. But it proliferated. It was actually the invention that led [to] initial successes of the Chinese economy. By 1985, I believe, I have the statistics here, there were 12 million TVEs in China. By the mid-1990’s, most of the industrial production of China was done by TVE. So then you have to ask why–this is an invention, but we don’t see it in other countries. Why in China? Well, people who look back on it think that it was inventing around certain constraints at the time in China. And that the invention got around a legal constraint. That China, having been a communist country, did not have all these financial lawyers. And they did not have courts that enforced legal contracts the way we do in the U.S.
And that entrepreneurs in China were inhibited from starting an enterprise, because they thought it would just be usurped by the village. You live in a village, you start a toy company, as soon as you start making money, they’ll just put a tax on you. Or, they’ll take it. That was your worry. So, you had to involve them. It was a fact of life, a very important fact of life. You had to involve the whole community. You could not start a business without involving the community. But it was a very successful invention, because it actually led the Chinese economy on its first huge successes. I’m going to move to another example now of an innovation in finance. I want to talk about inflation indexation. And I can pick many. These are examples that I like personally. There’s an infinite number of examples. It doesn’t matter exactly which example we pick. But there’s a fundamental financial problem, and that is that the value of money changes through time. We have inflation measured by a Consumer Price Index. And when inflation proceeds, the prices go up, and so the buying power of money goes down. And it’s uncertain. There’s inflation risk that we face because of the uncertainty about prices. This is an inflation risk that’s under concern right now after the quantitative easing that the Fed–we’ll come back to that. The Federal Reserve is expanding the money supply dramatically in an effort to deal with this crisis, and some people are worried about inflation risk. But it’s a longstanding worry. It goes way back in time. Most debts are done in nominal terms. And that means they’re written in currency units, and if the currency becomes worthless, you’re wiped out. Why do people write contracts in currency units? Well, it’s because it’s familiar with them, and so it’s framing. We’re used to thinking in terms of money and so we write contracts in terms of money all the time. So the idea is, maybe we should start something else. Let’s not write contracts in terms of money, let’s write in terms of something else. And that’s an invention. But it’s another invention that seems obvious. Let’s index our debts to some measure of inflation. The invention I want to talk about first goes back to 1780. I believe that the first indexed bond was issued in the state of Massachusetts in 1780 by the Massachusetts government. And that was an indexed bond. They defined a consumer price index, they didn’t call it that, and they said that the bond would pay you so many pounds, they weren’t using dollars yet, they were using pounds, British pounds, the amount of pounds you would get would be increased if inflation were to start. So, they defined an index of commodities that you might purchase. And that index was used to input a formula that created inflation correction to the bonds. So, these bonds were issued in 1780. And it served an important purpose, because the U.S. was fighting a war with the United Kingdom at the time, and there was tremendous inflation. So, they were very important. But after the war, after the Revolutionary War ended, they stopped issuing these bonds, and they forgot about them in the United States until 1997. It’s amazing. Why did the invention disappear? It’s like gimlets. I think maybe gimlets will make a reappearance. Maybe some of you will buy a gimlet. They’re very cheap, by the way. And they’re very useful. It seems like there’s a psychological barrier toward adopting something that’s a little bit complicated. And people have trouble understanding index bonds, and they have trouble understanding, how the formula works. They think, you know, I just want money. But, then you ask, well, why didn’t people learn? If you look through history, we’ve had bouts of inflation so many times, in so many different countries. And you know, if you buy a nominal bond, it’s risky, especially if you buy a 30-year bond. People are doing that even today all over the world. They buy these 30-year bonds denominated in dollars or euros or some other currency, and what’s going to happen to those currencies? So, why don’t you denominate your bond in something more realistic? Well, after 1997, the introduction in the United States of index bonds, the reintroduction in 1997, seems to be started by one person. Larry Summers, who is Assistant Treasury Secretary, just believed in this. And he did it. And so, we still have them. It got up to over 10% of the U.S. debt. Now, under Bush and Obama, they’re kind of letting them sag now, they’re down to 6% of the U.S. debt. But it really should be 100% of the U.S. debt should be indexed. So, this is a kind of example of progress that is made gradually through time. And maybe you’ll see that in the next 40 years. I’m trying to think of how we can make these things happen. That’s an agenda for people, younger people who can start innovating and changing our financial system. I wanted to talk about an invention that particularly intrigues me that comes from the country of Chile. It’s a financial invention, that overcomes framing problems. Psychologically salient–it’s an important invention, and illustrates some of the basic concepts. So, let me talk about Chile. We’re jumping around the world here. Chile had a problem with, like many Latin American countries, especially of that time, with inflation. So, they had a currency called the peso which inflated enormously. It went up, I don’t have the numbers on it, but it went up, you know like, prices went up a thousand-fold. And people were saying, we can’t trust anything. I wouldn’t take a contract paying pesos. The peso is gradually becoming worthless. So, Chile switched to another currency called the escudo in 1960. They said, OK, we’re starting fresh, we’re not going to have inflation. And this is brand new. Now we’re an escudo country. No inflation. Then, in 1975, they switched back to the peso. The exchange rate, peso to escudo, was one escudo was 1,000 pesos. OK? Because they’d had something like a 1,000-fold price increase. And then, in 1975, the exchange rate was one new peso is 1,000 escudos. So, a new peso was a million old pesos. OK, this is getting embarrassing. I mean like, can we trust anything or anybody in Chile? So, the invention started in 1967. People in Chile were saying, we just want stability. You know, this is crazy, our prices. If I owned one peso–I have a nice 1,000 peso note from 1955 and I pull it out in 1975 and it’s worth nothing. It’s not even worth the paper it’s printed on. So, we’ve got to get stability somehow. So, somebody in Chile had the idea, all right, maybe we can’t protect, we don’t know how to protect the currency, but we can create a unit of account that is stable in value. And let’s write contracts in this unit of account rather than pesos. So, in 1967, in Chile they created something called the Unidad de Fomento. That’s Spanish for Unit of Development. But what it was, was a unit of account that is indexed to inflation. And they said, write your contracts in terms of–and they called them UFs, okay? So, everything could be written in UFs. Forget pesos, because you don’t trust pesos anymore. Let’s write contracts in terms of something else. And that stuck. It started out as 100 escudos. I think it was one UF was 100 escudos in 1967, but, by 1977, a UF was 450 new pesos. Now, if you want to know what a UF is worth now, you just go on the Internet and it gives it for every day. And the website is–I think the website is valoruf.cl, but that’s from my memory. And so, I looked up what a UF is worth today, and it’s, I’ll use the dollar sign for peso, 21,468 pesos. So, that means that since 1977 prices have gone up about 50-fold in Chile. OK. But if you signed a contract written in UFs, you’re completely protected from that. And so, it’s a very important invention. Why is it an important invention? It’s important, because without it Chileans wouldn’t index. We don’t index much in the United States, nothing, almost nothing is indexed to inflation. Why not? I don’t know. It’s like resistance to wheeled suitcases. You almost can’t figure it out. It’s so obvious. When you rent an apartment, they should index it to inflation. They should tell you, our apartment rent goes up every month, or down, depending on the price level. When you advertise a house for sale, it should be indexed to inflation. Otherwise you’re just making it crazy. You’re just making–Yale tuition should be indexed to inflation. It should go up and down with the level, that keeps its real value constant. But we don’t seem to do it, because we can’t–something is blocking our thinking about it. So, we have to do something like this, I believe. And so, that’s what Chile has done. So, this is the way things are done today in Chile. It became an invention that took hold and never left that country. If you rent an apartment in Chile, good chance that your rent will be quoted in UFs, OK, and if you’re paying a monthly rent check, this is what you do. So, your rent is I don’t know how many UFs. You go to valoruf.cl, you find out how many pesos it is, you write out a check for that number of pesos. OK? And they do this out of habit. The amazing thing I discovered is that in the United States, and in just about every country in the world except Chile, alimony payments are defined in currency, all right? You get a divorce. The mother, let’s say, has to support children. The father is required to pay alimony for the next–until the children grow up, or indefinitely. All right? That’s a long-term contract. What if there’s inflation? What does it do to the value of the alimony? Well, of course, the real value goes down. So, shouldn’t courts just index it to inflation? Well, they do in Chile. Because they’ve got a habit of doing things in terms of UFs. So, this is an important financial innovation. By the way, guess how much consumer prices have gone up in the United States since we created the consumer price index in 1913. It’s 22-fold. We’ve had a lot of inflation in this country. 22-fold. Something that cost $1 in 1913 will cost $22 today. That means, if you held cash between 1913 and today, basically you’re completely wiped out. But the inflation rate is only 3% a year. That’s 3% a year for almost 100 years is a 22-fold increase. So, we’re living with this kind of uncertainty in the United States today. We have not adopted the Chilean invention of UFs. It’s interesting that this invention spread, somewhat, throughout Latin America. And it stopped at the Rio Grande. Mexico has something called UDI. Which is the Mexican version. It’s U-D-I. Which is the Mexican version of Unidad de Fomento. But the rest of the world doesn’t want to copy this idea. Why is that? I think it’s partly, because this idea emerged out of embarrassment. Chile had had a massive inflation which is embarrassing, and nobody wants to copy anything from someone having that bad experience. It’s also cultural, that we’re not used to Latin American things. Just like we’re not used to using gimlets. So, we don’t have them. Let me just give one more invention. It’s important. And then I’ll stop. This is another financial invention, more recently. It’s the invention of the swap. I like to give this example, because it relates to a couple of our speakers. What is a swap? Well, the swap is a financial contract that was invented by none other than David Swensen, who will be speaking soon. He is the Chief Investment Officer for Yale University. He invented this before he came to Yale, when he was working for Salomon Brothers, which was a major Wall Street investment bank that no longer exists. But back then, in the early 80’s, he apparently–I’ve got a couple of sources. I think he is the real inventor of it. What is a swap? It’s a contact between two parties, usually a fairly long-term contract, to exchange cash flows. So, the simplest swap would be a currency swap where one country–there’s two parties. Two different companies, let’s say. One of them who promises to exchange euros for dollars every month for the next five years, and the other one promises to exchange dollars for euros every month for the next five years. It’s a swap, but we decide in advance on what the conversion is, what the swap rate is, between euros and dollars. So, that’s useful for risk management purposes, because somebody, someone in Europe may be getting dollars revenue in their business. They know they’re going to get this revenue over the next five years. It’s kind of a long-term contract, long-term business they’re in. They might want to go twenty years. But they don’t know at what rate they can convert it back into euros. And on the other side, we have the Americans who may be doing business in Europe, and they get euro income and they want to convert it to dollars. So, they can make a contract that swaps these cash flows. And that was the invention. And it didn’t come until the 1980’s. It’s amazing that these simple ideas weren’t out there. And why weren’t they out there? Well, it may have something to do with legal uncertainty, regulatory uncertainty. There’s something called ISDA which was founded since the 1980’s. That’s the International Swaps and Derivatives Association. And what it does is, it lobbies lawmakers for laws that permit swaps to work efficiently and effectively. And so, you need an organization like ISDA that will make these contracts work as effectively as they are. Now swaps are a hugely important contract. My last example, which is a sub-example from this, is the credit default swap, which is something that I won’t put David Swensen’s name on. The credit default swap is a–again a contract between two parties that has to do with the risk of a credit event. So, there’s a protection buyer. There’s two parties. One we’ll call the protection buyer, and the other is a protection seller. And it would have to do with–basically the buyer promises to pay the seller, at regular intervals for some period of time, and the money just flows regularly from the buyer to the seller, until an event occurs. We could say a bankruptcy of some company. It’s defined in the contract. In which case, then, the protection seller has to pay the protection buyer. Now you might ask, isn’t this just like an insurance contract? Wouldn’t you call this insurance? If I’m paying regular payments to somebody else, and then, if an event occurs, I’m getting insurance against default by some company. And I maybe doing business with the company, or I may be investing in the company’s bonds, so I may want this protection. But it looks like insurance, right? Well actually, there’s something else called credit insurance, which goes back to the nineteenth century. There were companies in like 1880 that would allow you to buy insurance against default, or some failure of a company. So, this was an institution and an invention of the nineteenth century. But credit defaults swaps are–what’s the difference? Well, the difference is, that there [is] a whole culture and regulatory environment developed around credit insurance that limited it. They didn’t have ISDA. They had state insurance regulators, OK, and they just didn’t have the same conceptual framework. It’s complicated. The credit default swap was boosted by ISDA and other thinkers, who thought of how to make this into a huge, huge business. Credit insurance ended up being kind of limited in its application. And often, the credit insurers were more like consultants. They would say, we’ll insure your credit. It will insure you against the default by someone you lend money to. But we want also to be involved in helping you avoid making bad contracts like that. So, the credit default swap became huge. Let me just conclude with this. This brings us back to one of our outside speakers. Hank Greenberg is going to talk about his company AIG, which failed because of errors–it didn’t fail, it got bailed out by the government. It got bailed out because of errors made in credit defaults swaps. I don’t think that these errors were his fault, because this happened after he left the company. But I just want to mention this, because it’s all part of a big picture. We had a financial invention, the swap. Then we had the credit default swap. And these are important inventions. They caused a leap forward in our ability to do risk management. But they created attendant risks. They were new, and they weren’t understood well enough. And so, a big part of what happened in this crisis was a failure of the credit default swap market. But that’s not to me an indictment of financial innovation. I think the credit default swap was an important innovation, and we will see more like it, and it will help make for a better world.